Quality Publishing enjoyed humble beginnings in 1953 when Marvin and Jean Pettit began their small print shop on Ludlow St. in Hamilton. In those days, there were no high tech computers or high-speed presses. Just an honest handshake and a hard day’s work. 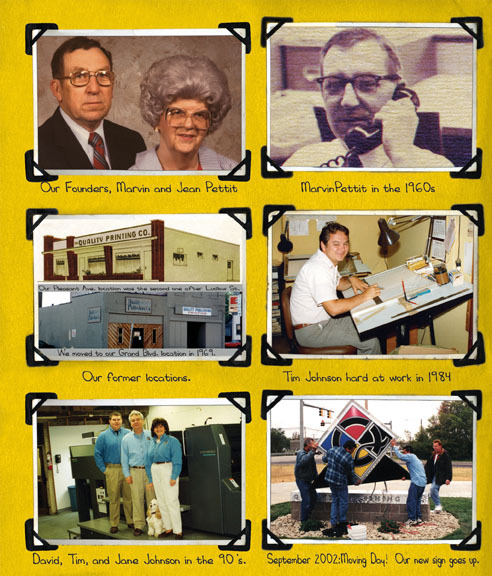 Over the years, Quality Publishing grew with the times, introducing state-of-the-art equipment to serve the needs of a loyal – and growing – clientele. The company moved to Grand Boulevard in 1969, where the company flourished. In 1986, the Pettits’ daughter Jane and her husband Tim Johnson purchased the business. As Quality continued to thrive, it outgrew the Grand Boulevard location. Reaffirming their dedication to the family business, in 2002 the Johnsons constructed a new 10,000 square foot facility on Symmes Road. Shortly after relocating the company, Quality Publishing suffered a great loss with the passing of Tim Johnson. Today, Jane Johnson and her son David continue her family’s printing tradition as President, and Vice President of the company, respectively.